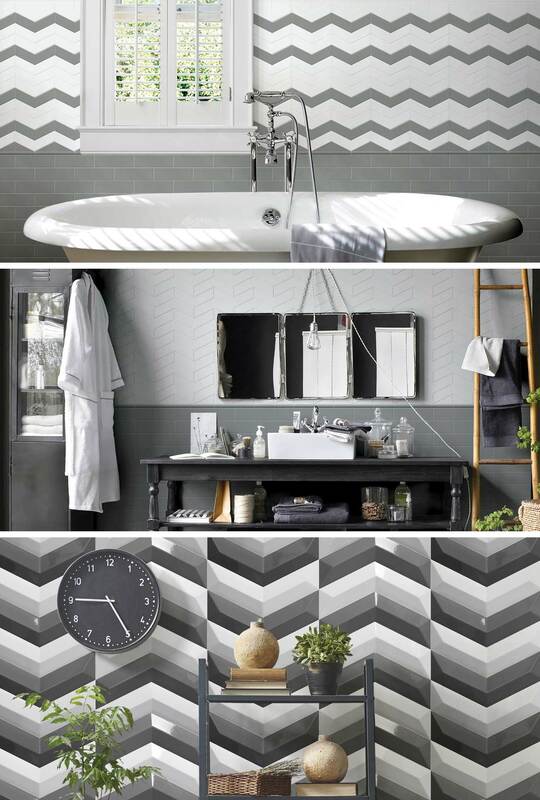 Toulouse is a dynamic range incorporating straight lines with the zig-zap line of chevrons. A beautiful ceramic collection, with a variety of neutral tones and layouts (see PDF for laying proposals). Chevrons & Mosaic pieces also available (see PDF) plus Pencil Tiles and Quarter Rounds. Available in a gloss finish and a 7mm thickness.